Starting life on the former site of DJ Mag’s number one club Space, Hï Ibiza had a lot to live up to. It did it with impressive style, re-imagining the legendary location into a remarkable clubbing experience with state-of-the-art sound and lighting coupled and forward-thinking residents, nodding gracefully to all aspects of the island’s diverse musical history. After an esoteric launch campaign full of personality, Hï kicked off with new resident Black Coffee inviting Luciano, Apollonia, Kölsch, Nic Fanciulli and Space resident Paul Reynolds. Later in the season, bona fide legends Armin van Buuren and Eric Prydz both transformed the The Theatre overnight with their bespoke setup, proving Hï’s versatility and ambition in its programming could be matched in its production. The LED screens that run alongside the walls, through the crowd and connect at the booth offer a seamless connection from the dancefloor to the DJ while the moving kinetic lights have to be experienced to be believed. Off centre, the Wild Corner, or ‘disco toilet’ as it affectionately became known by the DJ Mag staff, plonks a DJ booth right in the centre of the unisex bathroom, with lights and lasers reflected from the all-black gloss floor and toilet doors. Island party-starters Melon Bomb brought the funkiness to this unique space, often capturing the attention of partygoers who came for the seats and stayed for the beats. 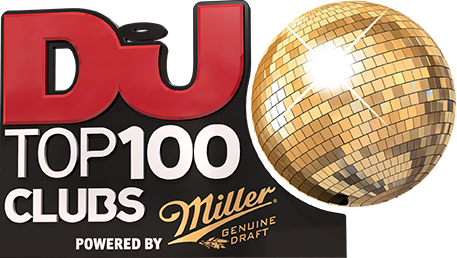 With former Amnesia institution Cream making its way to Hï for the 2018 season and Black Coffee, Eric Prydz, Glitterbox and Armin van Buuren all set to return, Hï’s entry straight into the top five of the DJ Mag Top 100 Clubs means it’s already carving out its own legacy on the d’en Bossa seafront.